I love tech products and gear, and this year I have some pretty big wants in that category. 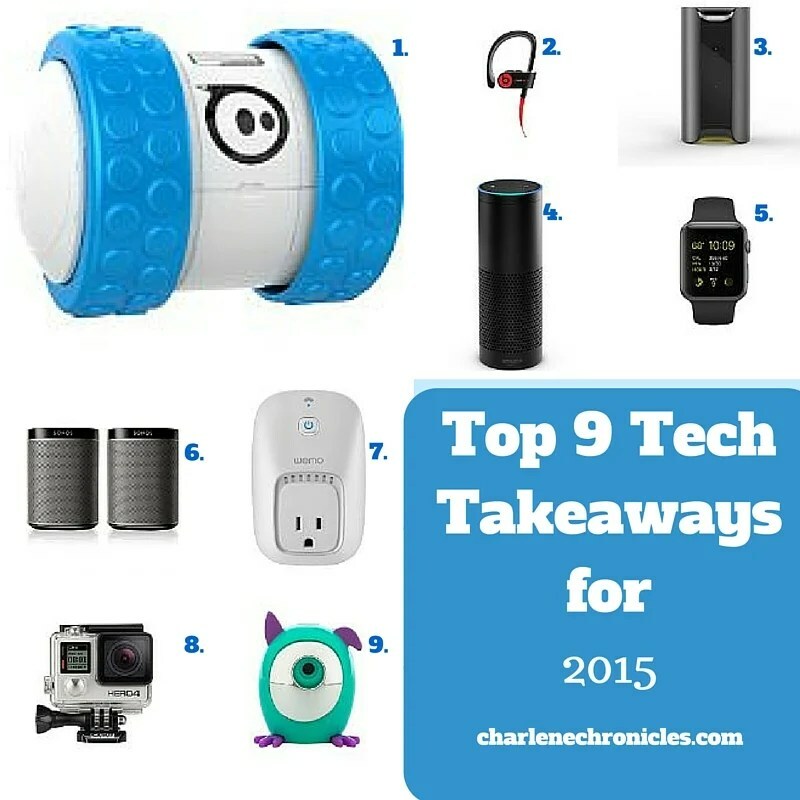 So here are my top tech products 2015. These are on my wish list and in my tech gift guide because they offer easy living and all are under $400! I only received one product for a review (the Sphero). The rest are my personal wants! Beats Wireless Earbuds ($130): Listening to music from my Apple Watch with wireless earbuds seems like a dream come true. Thus, it is on my wish list. Plus, they just look cool, and tuck easily into a bag for the gym or travel so I can ‘Beats bop’ on the go. Amazon Echo ($179): I’m ready for the robot invasion. (Hello 1984) If my Mom has one, then I think it means I need to step up my tech game. I am excited about the possibilities of not missing school pickup or food in the oven, listening to music on a whim and getting my geek on with factoids while doing chores around the house with my new BFF Alexa . Apple Watch ($350+): It is not the best tech watch in my opinion, but it is cool and does have some neat functions. Plus, as the operating systems keep getting updated, it might be my wearable tech nirvana sooner rather than later. The only risk with the Apple Watch is that there may be an option for higher MB in later iterations, but it is a risk I may be willing to take. Sonos ($199): Still love the concept of great sound anywhere and in any room in my house. The SONOS PLAY:1 is a little size with big power so I can sing along with Taylor Swift whenever and wherever. Cause that is what life is all about, right? GoPro Hero Silver ($350): I’m sort of done with the whole video and pictures with the iPhone concept. It will do in a pinch, but I need to step up my photo game. Yet I am not ready for the big boys. Is there a happy medium? Yes with the GoPro HERO4 SILVER . It’s small enough to take everywhere and its design (and all of the accessories) means I can take photos anywhere and everywhere too. Snap Pets ($40): I’m sick of the stick, to be honest with you. Plus, most of the major designations (e.g. DisneyWorld) ban them. So what’s a girl to do? Tuck a Snap Pet in my purse and be ready for selfies anywhere without stick limitations. What is your favorite tech wish from the list? Please share!